HOURS: Visit our website to learn more about our lesson times. 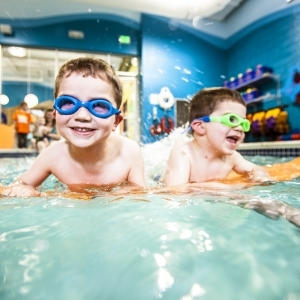 Goldfish Swim School ' Burlington is a state-of-the art swimming facility dedicated to teaching children as early as 4 months how to swim. At the pool deck, kids jump into an always-tropical 90-degree pool. In a class size of no more than 4 children to 1 swim instructor, children master the skills they need to be safe and confident in the water. Goldfish also offers special events like birthday parties, family swim, accelerated Jump Start Clinics and our Recreational Swim Team, catered to swimmers who have completed the Goldfish Pro Level.